There are certain places on earth that are so spectacular they almost seem unreal. The Balian beach huts that stretch into turquoise oceans like a seascape painting, rainforests with so few imperfections they could be a Pixar animation and the way some sports arenas appear so perfect they look as though they should appear in an EA Sports video game. 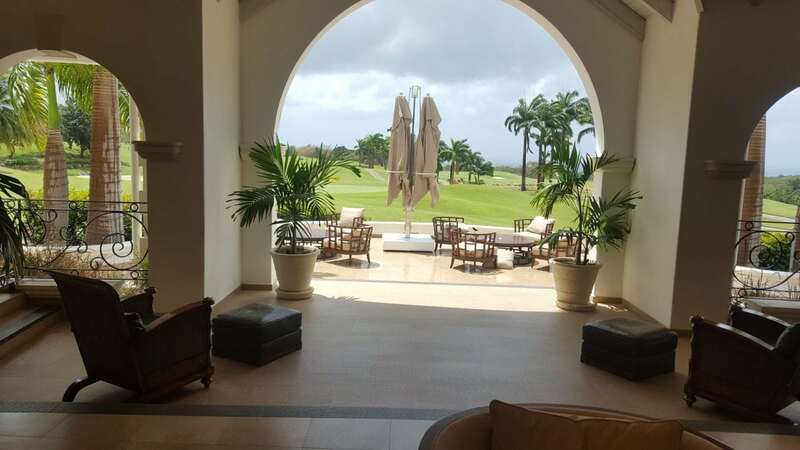 The Royal Westmoreland Golf Club in Barbados is one such venue. As a child I spent countless hours hitting ambitious outswinging drives as Tiger Woods on his namesake video game or perfecting my backspin in order to hold the ball at Pebble Beach. For the most part the courses didn’t seem real. They featured greens ledged precariously on small islands, white sand bunkers and had a consistency between the fairway and the rough that could only be achieved using computer code. At least, that’s what I thought. After years spent hacking my way around the overgrown and often uncut inner boundaries of golf courses in South Leeds and then the peripheral budget selection around London I had been led to believe such courses could never exist. Throw into that selection a handful of links courses in Northumberland that come close but are still a fair way off (pun intended) the real deal. Royal Westmoreland is a step up. 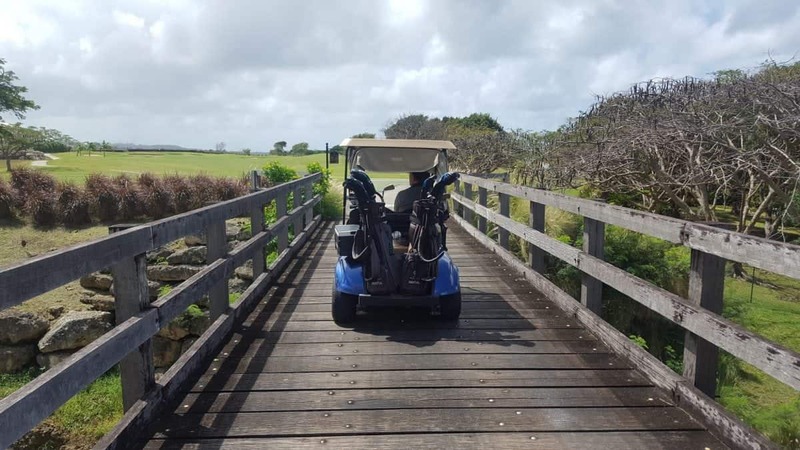 Located inland between Holetown and Speighstown the resort boasts a par 72, 7,045-yard championship course designed by Robert Trent Jones Jnr who is widely regarded as the number one name in golf course architecture worldwide. 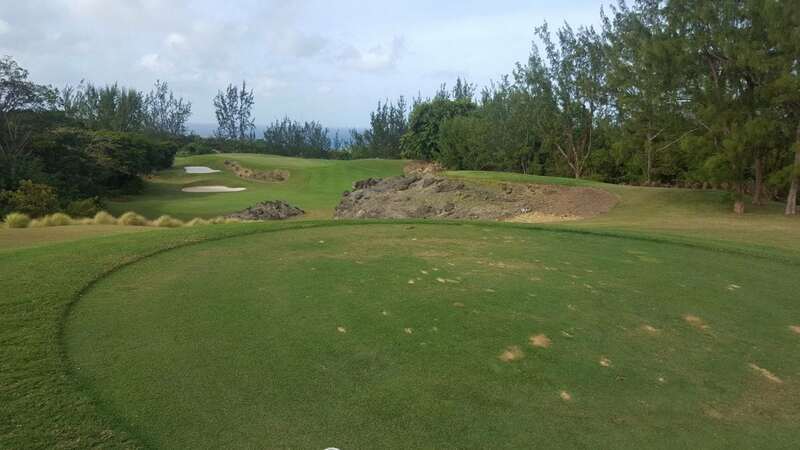 Set in a lush tropical landscape and calling for every club in your bag, it is consistently rated as one of the top courses in the Caribbean with tricky greens and ocean views afforded from most holes as well as an occasional audience of resident monkeys. As an experience, this course is second to none. Golf carts hug the roundabout by the starting house with quaint score cards pinned to the wheel, branded balls and tees in their holders and fresh buckets of ice at the back. Immaculately maintained clubs are available for rental with a well-oiled system in place to ensure that no group is ever rushed through the course. The first nine is challenging but forgiving and you immediately get the sense that this is a course that will reward good golf. The greens hold and the balls zip off the immaculately cut fairways with any wayward shots often recoverable from the rough or from the many bunkers holding sand so white you could lose your ball in it. The elevated tees at three and four were particular favourites, although approaching a green set within an old quarry at six is really special. Refreshments are on hand at the end of the ninth and to those who, like myself, have a tendency to ship golf balls so too is a pop-up stall run by a local who has probably made a fair whack from golfers such as myself over the years, offering a large re-fill of balls for a fair price. The tenth requires a short drive in the buggy and opens up a rather different part of the course. The wicked dogs leg takes some navigating with a full 90 degree right to left swing which necessitates a good tee shot and accurate approach. There are some huge holes on the back with a 595 and 503 yard par fives and a 461 par four among the pick, but mercifully they are spread between two dreamy par threes of the sort that really play with your head. In true vintage fashion the best is saved until last with a par four 18th that is truly breath-taking. Skirting a deep gully golfers must navigate deep drops on two occasions as well as the many bunkers, but it is as stunning as it is enjoyable and makes the Banks beer in the clubhouse at the end all the more rewarding. 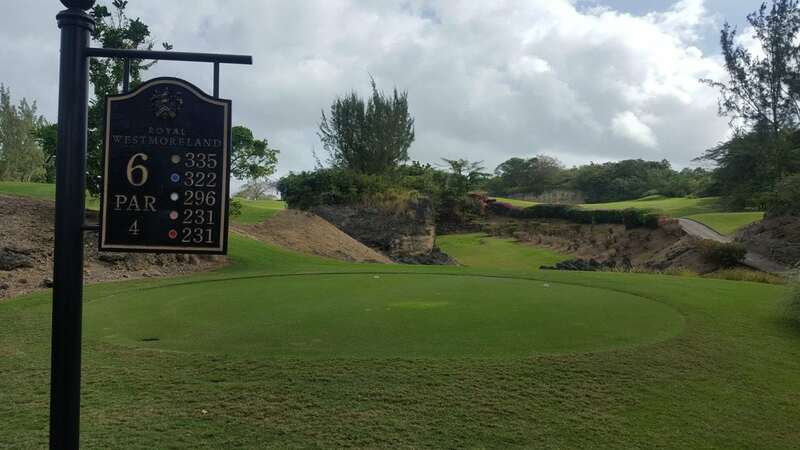 In all the Royal Westmoreland truly is a world-class golf course. On the drive in I spotted a sign that read “Proven not Promised” on a marketing billboard. Based on their promise to offer one of the “most idyllic rounds of golf imaginable”, I would certainly have to agree.